Stay at this eco-friendly Melbourne hotel, located in the leafy eastern suburb of Box Hill, ten kilometers from the CBD and within easy reach of Yarra Valley vineyards and Healesville Sanctuary. 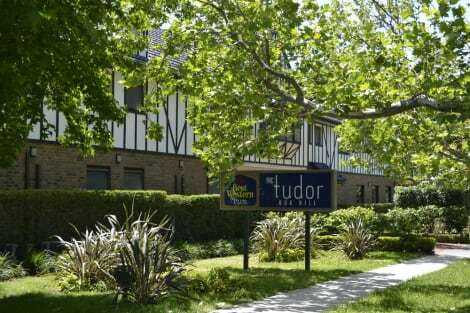 The BEST WESTERN PLUS The Tudor-Box Hill offers multi-award winning accommodation in Melbourne. The on-site Il Melograno restaurant has a 5-star rating from the City of Whitehorse and offers a seasonal menu, complimented by daily market specials. The Lounge, designed by a leading Melbourne architect, is a great spot for pre-dinner or after dinner drinks and features velvet banquette seats, outdoor garden decking and a marble topped bar. Brand new oversized one, two and three bedroom contemporary apartment development now open across the road. Other facilities at this Melbourne hotel include modern conference facilities and a leisure centre which is exclusively for guests and features an indoor heated swimming pool, gym and relaxing spa and sauna. All are furbished to the highest standard with pocket spring mattress queen beds, open plan living areaa, full kitchen, dining table, executive desk, high speed internet and lounge area.All have two bathrooms with shower and bath. Washer/dryer. Private balcony. 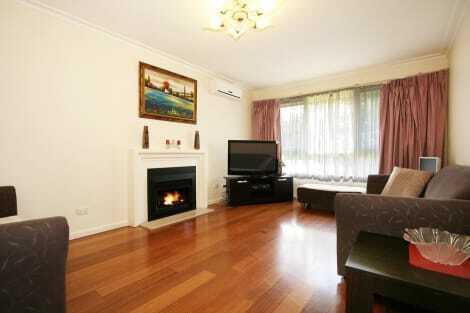 Free parking, 40-inch LCD televisions with Foxtel and DVD. All rooms are light, airy and spacious, and some have kitchens. lastminute.com has a fantastic range of hotels in Box Hill, with everything from cheap hotels to luxurious five star accommodation available. We like to live up to our last minute name so remember you can book any one of our excellent Box Hill hotels up until midnight and stay the same night.